Like Humphrey on Facebook and get the latest Humphrey news! Humphrey thanks his friends in schools from sea to shining sea! Happy hamster hugs to Victoria! Thanks for being friends of Humphrey - so exciting you are building a town in your room, just like the kids in Room 26! Hamster hugs to all of Humphrey's friends in Ms. French's class! A furry pawshake to the remarkable readers in Ms. Correa's class! HAPPY-HAPPY-HAPPY reading to the remarkable readers at Holman, including Mrs. Albertino's K, Ms Galvin's 1st, Mrs. Raney's 2nd, M. Karas' 4, Mrs. Majors' 5th grade classes! Have a SUPER-SUPER-SUPER March reading The World According to Humphrey! So glad you like the books, Sean, and welcome to your furry little Humphrey! I'm HAPPY-HAPPY-HAPPY you're all reading Humphrey! HI-HI-HI to Humphrey's super friends in Mrs. Pence's class! Humphrey is HAPPY-HAPPY-HAPPY that reading his adventures make you feel better, Simon. Og and all your friends in Room 26 say a special "Howdy!" to you! Happy hamster hugs to Humphrey's friends at Medtronic! Greetings from Humphrey and me to to the remarkable readers in Mrs. Horihan's class! READ-READ-READ! Sending hamster hugs to Hailee! Special squeaks to Humphrey's friends in Mrs. Hogue's class! Greetings to Humphrey's friends in Mrs. Wiehl's class. READ-READ-READ! Sending hamster hugs from Humphrey! Special squeaks to the remarkable readers in Mrs. Gutche's class! THANKS-THANKS-THANKS for being a friend of Humphrey's! Greetings to your new hamster, Snowball! There are tons of good hamster tips in The World According to Humphrey! Hamster hugs to all of Humphrey's friends at in Ms. Patterson's class! HAPPY-HAPPY-HAPPY reading to Humphrey's pal, Gabriel! Sending happy hamster hugs to Isabelle! THANKS-THANKS-THANKS for sharing the Humphrey books over the years! HAPPY-HAPPY-HAPPY reading to you and your students: past, present and future! I hope you remarkable readers and all the students at Radix are having FUN-FUN-FUN this summer reading Humphrey's adventures! Thanks to Braden for being a BIG-BIG-BIG fan! Sending HAPPY-HAPPY-HAPPY squeaks to all the students at Mull, who will be reading Winter According to Humphrey in the fall! Squeaks and BOINGs to the fabulous First Grade Frogs! Thanks to long-time fan, Amelia, from her favorite furry friend, Humphrey! Thanks to Tim for being a SUPER-SUPER-SUPER fan! Hamster hugs to Desi and friends for being a friend! THANKS-THANKS-THANKS for being fabulous friends of Humphrey's! Hamster hugs to Humphrey's pals in Ms. Byrne's class! Hamster hugs to Emma and her own Humphrey! Sending very special SQUEAKS from Humphrey and me! THANKS-THANKS-THANKS for being friends of Humphrey's! HAPPY-HAPPY-HAPPY reading to Humphrey's pals in Mrs. Damico's class! Thank you all furry much for being Humphrey fans! Special squeaks to the remarkable readers in Mrs. Fuxa's class! A big furry pawshake to Humphrey's friend, Sam F! I hope Barr Elementary enjoys sharing Humphrey's adventures! Special squeaks to Humphrey's friends in Ms. Beliak's class! THANKS-THANKS-THANKS to Humphrey's friend, Bryce! A big hamster shout-out to Humphrey's friend, Ben! THANKS-THANKS-THANKS to Principal Julie Svendsen and the remarkable readers at West Gate for being super fans! A big furry pawshake from Humphrey to Justin! HAPPY-HAPPY-HAPPY reading to Humphrey's friends in Mrs. Smith's class! HAPPY-HAPPY-HAPPY reading to the remarkable readers at West Gate! Sending Squeaks! Hamster Hugs to Humphrey's friend, Lydia! I hope all of you LOVE-LOVE-LOVE Humphrey's adventures and thanks to Mrs. Berry! HI-HI-HI to Ethan! Good luck with your book and high fives to Squeaky (good name)! HAPPY-HAPPY-HAPPY Reading to Ms. Skapik's legendary readers! SQUEAKS to Humphrey's pals in Mrs. Wokanick's class! Sending hamster hugs to Madeline! A furry pawshake to the remarkable readers in Mrs. Wolff's class! HI-HI-HI to Julianne! Thanks for being a super fan! I love toy Humphreys, too! Ariana, I'm not sure that Longfellow School is in NY ... or that Mrs. Brisbane teaches 3rd Grade (the books don't say) but squeaks a lot for making me smile! Hamster hugs to Humphrey's friend, Columbia! HI-HI-HI to Grace from Humphrey and me! Greetings to Mrs. Ray's Rockin' Readers! Humphrey is unsqueakably happy that you like to READ-READ-READ! Greetings to the remarkable readers in Mrs. Powers' class from Humphrey and me! HAPPY-HAPPY-HAPPY Reading, to Humphrey's friend, Sam! GOOD-GOOD-GOOD luck to the remarkable readers in McMinnville as you start your One Book, One School event this fall! Hamster hugs to BENJAMIN from his squeaky pal, Humphrey! HI-HI-HI to Humphrey's fabulous friends in Mrs. Toston's class! Humphrey is VERY-VERY-VERY excited that your school has chosen his book for your One Book, One School event. Thanks, Mr. Campia! Hamster hugs to your spectacular second graders! Reading rocks - and so do you, Dakota!! HI-HI-HI to Humphrey's pal, Matthew, and to your very own Humphrey!! Yay! Thanks to the remarkable readers - and fantastic fans - at Discovery STEM Academy! Welcome to Humphrey's Handlers! THANKS-THANKS-THANKS for being fans! Thanks to all the Humphrey fans - present and future - in MSD Pike Township! Betty Birney has never had a pet named Humphrey but she has had a number of dogs and a parakeet. To find the inspiration for the name, go here. Greetings to all the Oggys in Mrs. Dyess's class! Keep on writing! BOING-BOING! Very special squeaks to Humphrey's friends in Mrs. Soltis's class! HAPPY-HAPPY-HAPPY reading to Humphrey fans in Mrs. Basch's class! HI-HI-HI to the remarkable readers in Mrs. Orahoske's class! THANKS-THANKS-THANKS to the fabulous fans in Mrs. Collin's class! A friendly furry pawshake to Humphrey's friends in Mrs. Mattero's class! Special squeaks to the readers in Mrs. Reinhardt's class --Enjoy your Humphrey experience! HAPPY-HAPPY-HAPPY reading to Humphrey friends at Sunquam! Greetings to the remarkable readers in Mrs. Quaglia's class! Very special Humphrey SQUEAKS to his friends Ethan and Katie! HAPPY-HAPPY-HAPPY reading to Humphrey's friends in Mrs. Ryan's class! A big furry pawshake to Humphrey's friends in Mrs. Loffredo's class! Hamster hugs to Humphrey's friend, Heather! Read on, Icard friends, and special squeaks from Humphrey! HI-HI-HI to the remarkable readers in Ms. Kelly's class! When you read a Humphrey book, he's your classroom pet, too! Humphrey LOVES-LOVES-LOVES his friends in Glenfield! Special squeaks to one and all! HAPPY-HAPPY-HAPPY Reading to Miss Foster's remarkable readers! Have fun with One School, One Book! Hamster hugs to Humphrey's friends in Ms. Linkous' class! Humphrey is everyone's classroom pet -- and you can always find him in the pages of a book! BEST-BEST-BEST wishes to Humphrey's friends in Mrs. Falk's class! I hope you like to read as much as Humphrey likes being a classroom pet! Squeaks a lot! HI-HI-HI to Humphrey's pals in Port Leyden! Humphrey LOVES One School One Book! HAPPY-HAPPY-HAPPY reading to Humphrey's friends in Port Leyden! Special SQUEAKS to the remarkable readers in Port Leyden! READ-READ-READ to Humphrey's One School One Book friends in Port Leyden! One School, One Book Rules in Port Leyden and Humphrey thanks you all! HAPPY-HAPPY-HAPPY reading to Humphrey's pals in Mrs. Hester's class! SQUEAKS to Humphrey's friends in Ms. Oram's class. READ-READ-READ! HI-HI-HI to the remarkable readers in Ms. Brooks' class! A big furry pawshake to Humphrey's pals in Mrs. Davis' class! HI-Hi-HI to Hayley and all her friends at Wilder! Squeaks a lot! Special squeaks to all of Humphrey's friends at Redd Elementary and thanks to reading specialist, Stacey Crochunis! HAPPY-HAPPY-HAPPY reading to Humphrey's fans at Horace May!Thanks for choosing Humphrey for your One School, One Book read! THANKS-THANKS-THANKS to Humphrey's friends in Mrs. Blancas's class! Humphrey LOVES-LOVES-LOVES the remarkable readers in Ms. Maldonado's class! Have a GREAT-GREAT-GREAT time with your One School One Book Humphrey event. Humphrey loves to be in schools! GOOD-GOOD-GOOD luck to you and your new classroom hamster! GO-GO-GO to the great readers in Mrs. Geller's class! Read on! Greetings to Humphrey's friends in Room 35 - and special squeaks to your real, live Humphrey! HAPPY-HAPPY-HAPPY reading to the remarkable readers in Kelly Martin's class. Read on! A big furry pawshake to Humphrey's pal, Charlie! I'm HAPPY-HAPPY-HAPPY you enjoy my books! A big Humphrey pawshake to the remarkable readers in Mrs Sobkowiak's class! HI-HI-HI to Humphrey's friends in Mrs. Cordray's class! Special squeaks to Humphrey's friends in Miss Wilmes' class! HAPPY-HAPPY-HAPPY reading to Humphrey's friends in Mrs. Santana's class! Hamster hugs to Humphrey's special friend, Emily! Humphrey LOVED-LOVED-LOVED hearing from The Bulldogs! BEST-BEST-BEST wishes to the remarkable readers in Mrs. Rhomberg's class! A big furry pawshake to Kyle and his classmates in Mrs. Ottenhoff's class! READ-READ-READ for your One School One Book event! Yippee! HAPPY-HAPPY-HAPPY reading to the PK through 5th grade students reading Humphrey for their OSOB event! Humphrey LOVES the library! SQUEAKS to the remarkable readers in Mrs. Leister's class! HI-HI-HI to Humphrey's fabulous friends in Mr. Hall's class! A furry hamster pawshake to Humphrey's friends in Ms. McCoy's class! Special squeaks to Humphrey's friend, Addison! 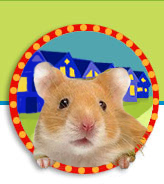 Hamster hugs to Humphrey's friend, Sarah, who has already read 10 Humphrey books! Thanks to all of Humphrey's friends in Mrs. Bott's class and special squeaks to Alaina! Hi Hayley! THANKS-THANKS-THANKS a lot! Humphrey LOVES-LOVES-LOVES Ebb Valley - squeaks to you all! Thanks to Hayley for being a friend of Humphrey's! Special squeaks to all of Humphrey's fans in Mrs. Vuckovich's class! Happy hamster hugs to Piper! THANKS-THANKS-THANKS to Diego, Morgan, Riley, Eli, Luke, Walker, Peter, Addie, Ariana, Marina, Jacob and Reese for your fabulous comments - and squeaks a lot for being friends of Humphrey! HAPPY-HAPPY-HAPPY reading to Humphrey's friends in Miss Rizzo's class! A big furry pawshake to Humphrey's friends at Will Rogers! HI-HI-HI to the remarkable raeders in Mrs. Reddy's class! Humphrey and I are happy that you allLOVE-LOVE-LOVE reading! Humphrey LOVES-LOVES-LOVES his friends in Mrs. Raup's class! Thanks, Zip. You sound VERY-VERY-VERY interesting! THANKS-THANKS-THANKS to the Popcorn Peeps! HAPPY-HAPPY-HAPPY reading to Kaitlynn and friends! Hamster hugs to Humphrey's friend, Maci! HAPPY-HAPPY-HAPPY reading to Mrs. Friday's class! BEST-BEST-BEST wishes to the remarkable readers in Ms. McCall's class! Have FUN-FUN-FUN with your Humphrey One School One Book event! HI-HI-HI to the remarkable readers in Ms. Maurer's class! Mrs. Sullivan's third-graders ROCK! THANKS-THANKS-THANKS! Have FUN-FUN-FUN with your pal, Humphrey! BEST-BEST-BEST Wishes to Mrs. Harbin's students AND their very own Humphrey! HAPPY-HAPPY-HAPPY reading to Humphrey's friends in Ms. Korty's class! Special squeaks to the remarkable readers (and Humphrey fans) in Mrs. Leonard's class! Humphrey and I are honored and HAPPY-HAPPY-HAPPY that the K-5 students of the Dryden School are now official Humphrey's Handlers! SQUEAKS a lot and thanks to Mrs. Madden! THANKS-THANKS-THANKS to Humphrey's friend, Arisha! BEST-BEST-BEST wishes to Mrs. Turner's fabulous fourth graders! HAPPY-HAPPY-HAPPY Reading to Humphrey's friends in Mrs. Ferber's class! Hi to Humphrey's friends, Kellen and Caramel! Happy hamster hugs to Angela! HOWDY-HOWDY-HOWDY to Humphrey's friends in Ms. Watts' class! Super special squeaks to the remarkable readers in Ms. Stevens' classes! HAPPY-HAPPY-HAPPY reading to Humphrey's pals in Ms. Garcia's class! Happy hamster greetings to Humphrey's friends in Mrs. Gamon's class! Have fun with Humphrey for your One School One Book event! Squeaks to all of Humphrey's pals at Henry Houck! BEST-BEST-BEST Wishes from Humphrey and me! A furry pawshake to Humphrey's friend, Ryan! Special Squeaks to Humphrey's pals in Miss Howe's class! To Humphrey's friends in Ms. Hawkins' class: READ ON!! HAPPY-HAPPY-HAPPY reading to Humphrey's pal, Joey! BIG-BIG-BIG squeaks to Humphrey's friend, Victor! A big HI to Sam -- did you know that author Betty G. Birney visited your school some years ago when The World According to Humphrey was in the Battle of the Books? A pawshake across the sea to Humphrey's friend, Ruth! HI-HI-HI to the remarkable readers in Ms. Zisman's class! Special Squeaks to Humphrey's friend, Amadeus! Special squeaks to Humphrey's pal, Timothy! Hi to the remarkable readers in Mrs. Gatrell's class! BEST-BEST-BEST wishes to the Room 3 Smarties! A big furry pawshake to Humphrey's friends in Mrs. Hucks' class! Special squeaks to Mrs. Oakes' class and to their very own Humphrey! HAPPY-HAPPY-HAPPY Reading to Humphrey's friend, Brian! Hamster hugs to Humphrey's friend, Hayley! Hamster hugs to Lisa Aucoin and Classroom Volunteers everywhere! Enjoy your One School One Book read! SQUEAK-SQUEA-SQUEAK to the remarkable readers in Mrs. McDonald's class! HI-HI-HI to Humphrey's special friends in Brick, NJ! HAPPY-HAPPY-HAPPY Reading to all of Humphrey's friends in Mrs. Branton's class! Special SQUEAKS to Joey C. and everyone in Mrs. McEarchen's class! A big furry pawshake to Humphrey's friends at Brookview Elementary! Thanks to ALL of the remarkable readers at Muhlenberg Elementary center! Hamster hugs to Humphrey's friend, Shreya! THANKS-THANKS-THANKS to my fabulous friends in Mrs. Czapla's class! HAPPY-HAPPY-HAPPY reading to Humphrey's friends in Mrs. Williams' class! Greetings to Eggnog and Peppermint - they are LUCKY-LUCKY-LUCKY classroom pets! And special squeaks to all their human friends in Miss Ashland's class! A big hamster hello to Humphrey's friends in Mrs. Nowacki's class! Have FUN-FUN-FUN sharing Humphrey's adventures! Hi to the hamster-iffic students in Mrs. Huntington's class! HI-HI-HI to Humphrey's awesome friends in Ms.
Special squeaks to Humphrey's friends in Ms. Zimmers' class! Hi to Humphrey's hamster-iffic friend, Grace! A hamster-iffic shout-out to Humphrey's friends in Mrs. Buhler's class! HAPPY-HAPPY-HAPPY reading to Mrs. Lonardo's sensational second-graders! Hi to Mrs. Wright's remarkable readers! Wiggles and squeaks to Basil! HI-HI-HI to Humphrey's friend, Allison! HAPPY-HAPPY-HAPPY Reading to Marissa and Mira! Special squeaks to Humphrey's friend, Ashley! Special SQUEAKS to Mrs. Burns' cool class! A big furry pawshake to the remarkable readers in Mrs. Lavelle's class! I hope you LIKE-LIKE-LIKE your next Humphrey book! Special One School One Book Squeaks to Humphrey's fantastic fans in Nancy Mangiantini's class: Mrs. M., Sophia D, Connors, Olivia R, Te'Lynne H, Anders R, Vincent L, Jayla P, Sam K-H, Hannah F, Maya, Michael T, Liam D, Fiona G, Madeline, Sydney, Julien, Kevin, Allyn J, Wynston I , Lanh, Sebastian A, Jayden G, Anthony, Mykal W, Basma, Grant B and Logan K! SQUEAKS to the remarkable readers in Ms. Carter's class! BEST-BEST-BEST Wishes to Humphrey's friends in Ms. Cotherman's class! HI-HI-HI to Mrs. Robinson's Rock Stars! Special squeaks to the remarkable readers in Ms. Kerin's class! I hope you have FUN-FUN-FUN reading about Humphrey together! HAPPY-HAPPY-HAPPY Reading to Humphrey's friends in Mrs. Lammers' class! Squeaks to your very own furry Humphrey!